The CZ 75 B SA (single action) is identical to the CZ 75 B in all aspects except that it has a single action trigger mechanism. The trigger is a straight blade type and is adjustable for over travel. CZ 75 B is used by more governments, militarie's, police and security agencies than any other pistol in the world. The CZ 75 is quite possibly the perfect pistol. Ships with (2) 16 round magazines, hard case, and lock. The CZ 75 B SA (single action) is identical to the CZ 75 B in all aspects except that it has a single action trigger mechanism. The trigger is a straight blade type and is adjustable for overtravel. This version is perfect for sports shooting. 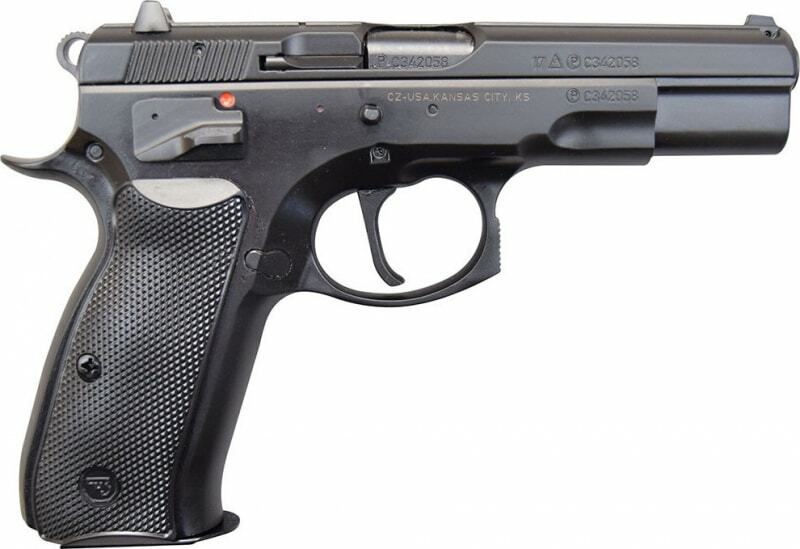 CZ 75 B is used by more governments, militarie's, police and security agencies than any other pistol in the world. The CZ 75 is quite possibly the perfect pistol. The CZ 75 B SA (single action) is identical to the CZ 75 B in all aspects except that it has a single action trigger mechanism. The trigger is a straight blade type and is adjustable for over travel. 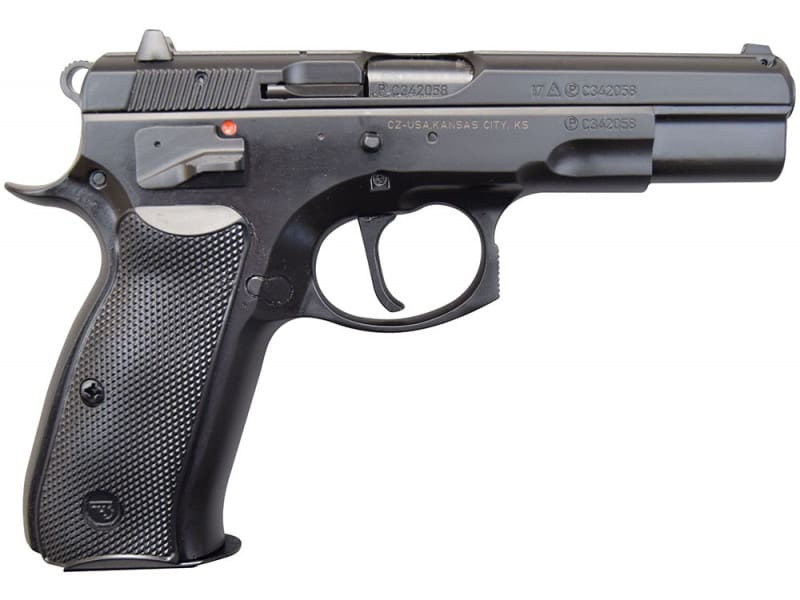 The CZ 75 B is used by more governments, militarie's, police and security agencies than any other pistol in the world. The CZ 75 is quite possibly the perfect pistol. Ships with (2) 16 round magazines, hard case, and lock. All steel construction (except alloy framed compacts) High capacity double column magazines Hammer forged barrels Ergonomic grip and controls Unparalleled accuracy Slide-in-frame design for better recoil control 3 dot sighting system (Tritium night sights available) Crisp single action Extended service life due to advanced design and superior materials Firing pin block safety Designed in 1975, the CZ 75 is the flagship model of the CZ handgun line with over one million produced. An entire family of pistols is available based on the basic CZ 75 design: compacts, de-cockers, single action only, ambidextrous, alloy frames as well as competition pistols. The CZ 75 B SA (single action) is identical to the CZ 75 B in all aspects except that it has a single action trigger mechanism. The trigger is a straight blade type and is adjustable for over travel. This version is perfect for sports shooting. 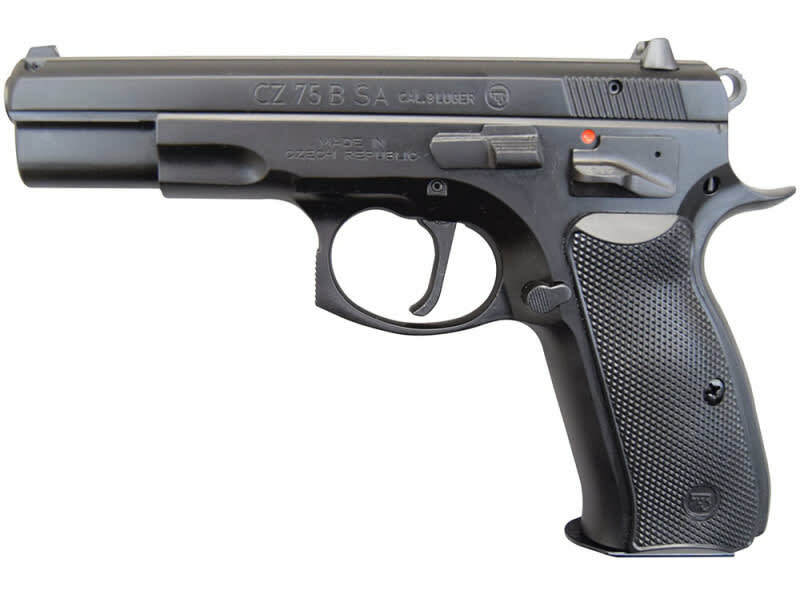 Designed in 1975, the CZ 75 is the flagship model of the CZ handgun line with over one million produced. 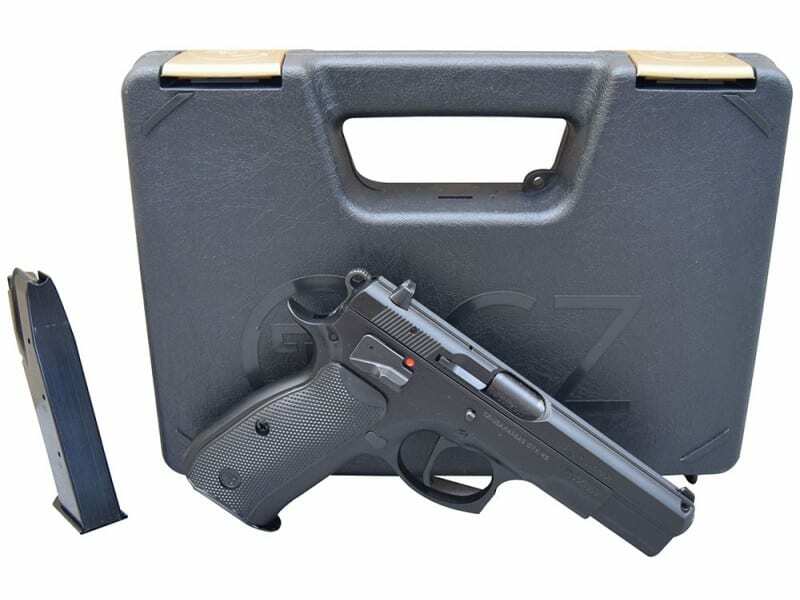 An entire family of pistols is available based on the basic CZ 75 design: compacts, de-cockers, single action only, ambidextrous, alloy frames as well as competition pistols.